Explore the numerous day-trip ideas around Saariselka: Pyha-Nattanen Fell (in Sodankyla) and Inari (The Sami Cultural Centre Sajos, Siida, & more). 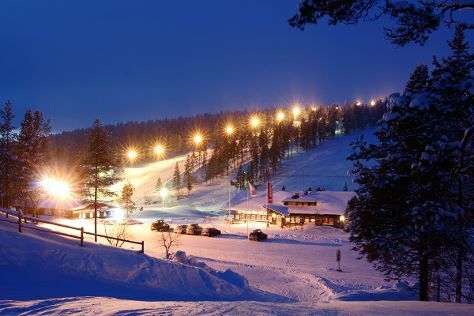 On the 10th (Sun), spend an exhilarating day on the slopes at Saariselka Ski & Sport Resort. To see traveler tips, maps, reviews, and tourist information, read Saariselka travel route planning website . In February, daily temperatures in Saariselka can reach -6°C, while at night they dip to -15°C. Finish your sightseeing early on the 16th (Sat) to allow enough time to travel back home.